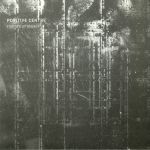 Review: Mike Jefford's skillful expressions in modern industrial first came into darkness in Berlin, circa 2012 on Sigha's Our Circula Sound. He has since honed his craft on labels such as Leyla, Opal Tapes and Stroboscopic Artefacts, toured his acclaimed live set and launched his own imprint In Silent Series - which has presented work by SNTS, Chimess and Inner8. Now based in Lisbon, Jefford presents his fourth full length via Geoff Presha's innovative Horo imprint. From seething slow-burners like "Exhibit Structures", textural and abrasive haunters like "Cold Seeps" to his idiosyncratic style of restrained sludgy techno as best exemplified on "Sedentary Echo" or "Manganese Scales" - this could be his finest work yet. Review: Lisbon based Brit Mike Jefford returns for the fifth edition of his In Silent Series, where he presents some more of his bleak and monochrome techno derivatives. 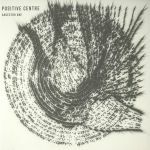 Positive Centre takes the exploration of sound reproduction and audio collage into rhythmic/hypnotic spirals of reverberated walls of sound - emphasising subtle changes in repetition with low frequency sound. Hell awaits on the pitch black industrial noise terror of "Tension Arm", before he brings you down to even lower depths on the slow burning haunter "Idle Roller". While Jefford's contorted style of techno exists at varying BPMs as on display here, B side offering "Sum Tolerance" ventures into a grey area - incorporating dub, half time drum 'n' bass and drone into an unholy mixture.